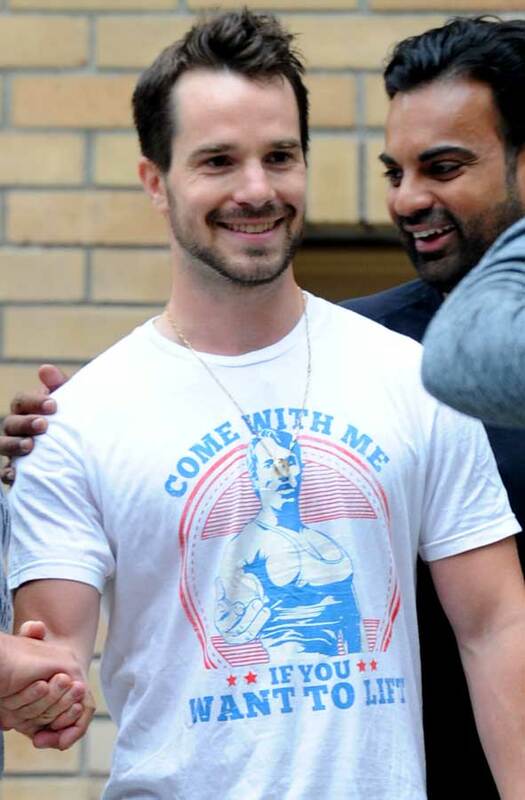 Arnold Schwarzenegger headed to a gym in Vancouver during a break in filming Why We’re Killing Gunther and bumped into a fan with a t-shirt with himself on it! 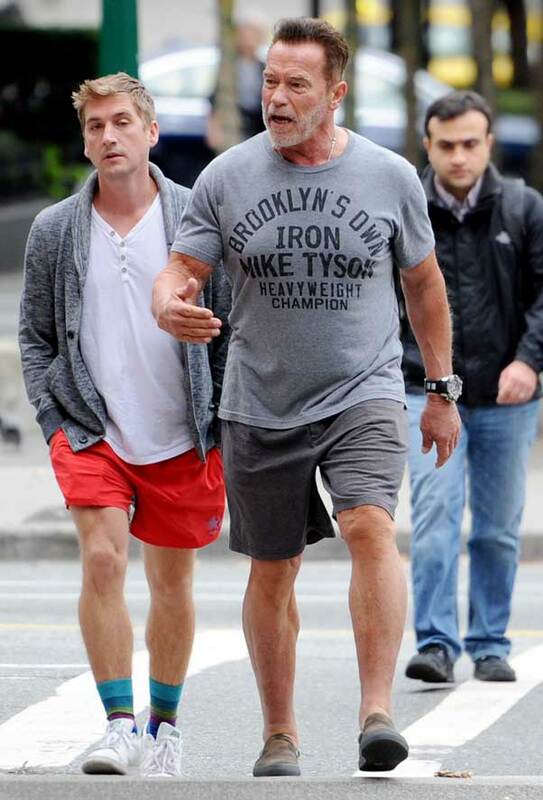 The Terminator superstar was spotted wearing a “Brooklyn’s Own Iron Mike Tyson” T-Shirt as he walked with a friend in Canada. The fan looked delighted to shake hands with the former bodybuilding world champion. 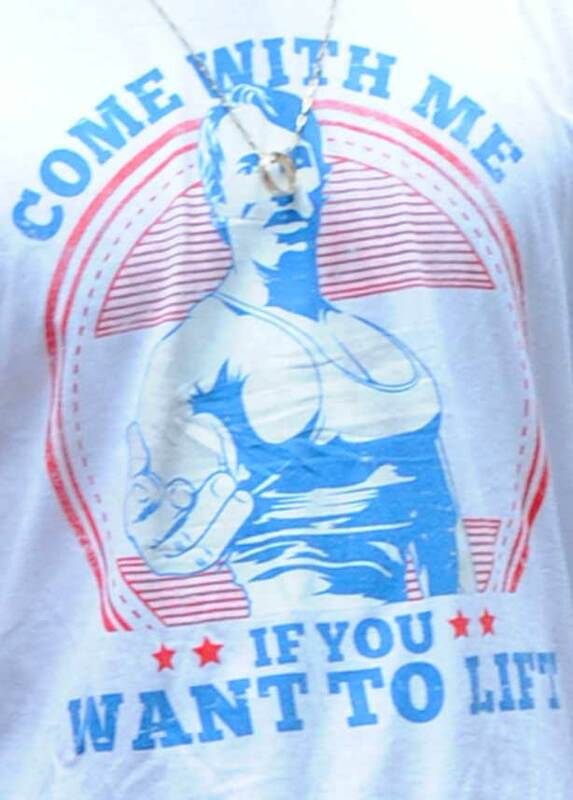 The tee even had a picture of Arnie in his bodybuilding days that read “Come With Me If You Want to Lift”! 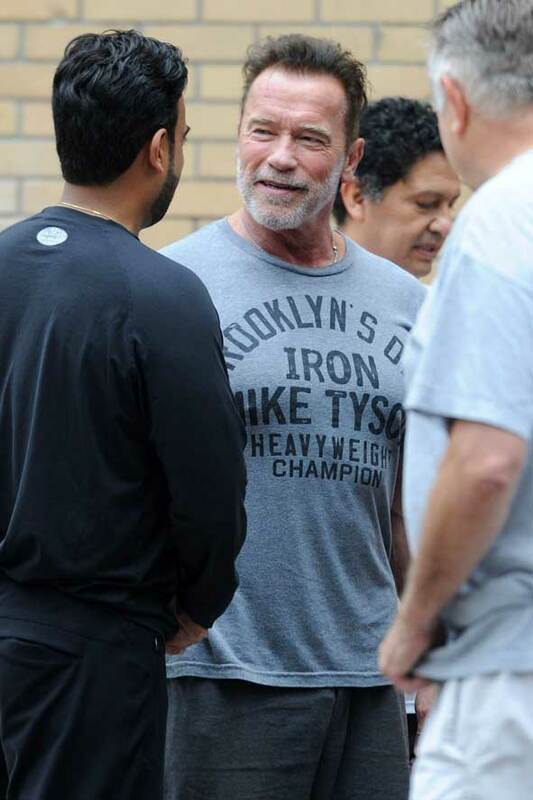 Arnold looked happy to chat with the fan after finishing his own two-hour workout and happily posed for a picture outside the YMCA gym in Vancouver, Canada. 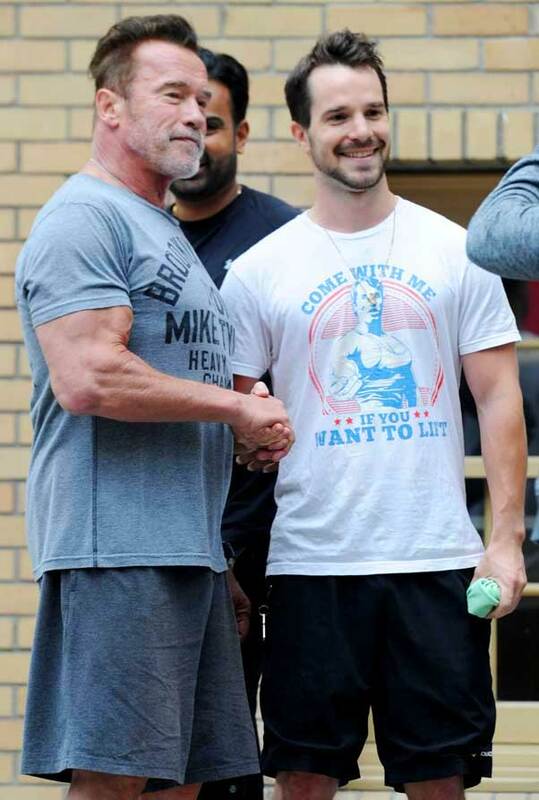 Arnold Schwarzenegger was in Vancouver, Canada filming his latest project Why We’re Killing Gunther which is a documentary style film written and directed by SNL’s Taran Killam in his directorial debut. 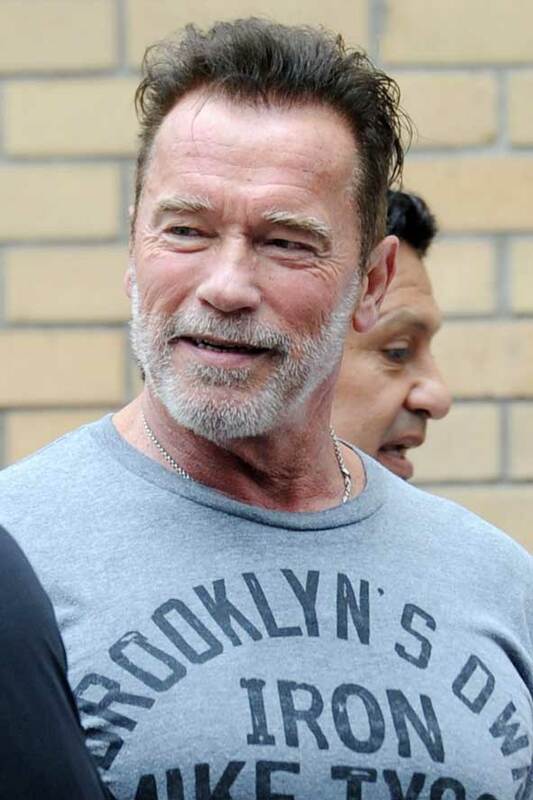 Arnold Schwarzenegger Trivia: In recognition of his achievements in bodybuilding and his lifelong devotion to physical fitness, Schwarzenegger was inducted into the National Fitness Hall of Fame in 2005, making him a Charter Member.